Here at Modern Dog, we love finding ways to honour our dogs and celebrate the joy that they bring us in life. Fortunately for us, the designs of Robin’s Loving Touch can help dog lovers cherish a pup’s most unique quality: their nose print. Like a fingerprint for a human, a dog’s nose print is unique to each and every dog, making Robin’s Loving Touch Nose Print Pendants a truly special way to cherish a furry friend. With a wide range of options for customization, these one-of-a-kind pendants are a perfect accessory for dogs and humans alike. 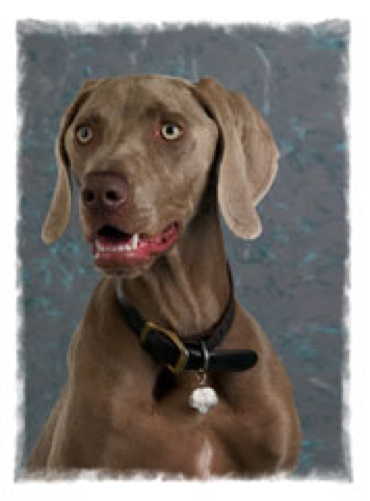 You can choose from a wide selection of materials to create a pendant that suits your needs – select a sturdy chrome to create a beautiful dog tag that can withstand play, or choose from a selection of 14 kt gold, white gold, and sterling silver to create a precious piece of jewellery that will remind you of your wonderful pet as you wear it. You can also opt to add engravings such as your pet’s name, your phone number, or a personalized message to create a truly unique piece! Although the grooves of your dog’s nose may seem impossibly intricate, the process of capturing your dog’s nose print is simple – a kit is provided to you with instructions for taking the impression, and the molding material provided is non-toxic and won’t stain your dog’s fur. With chilly weather an inevitability for many this winter, it can be difficult to ensure that dogs are warm enough as they play, train, or compete outdoors. Hurtta’s Extreme Warmers are built to protect pups from harsh winter conditions – built with quality, warmth and safety in mind, we think it’s a great choice to prepare your dog for some fantastic winter adventures! 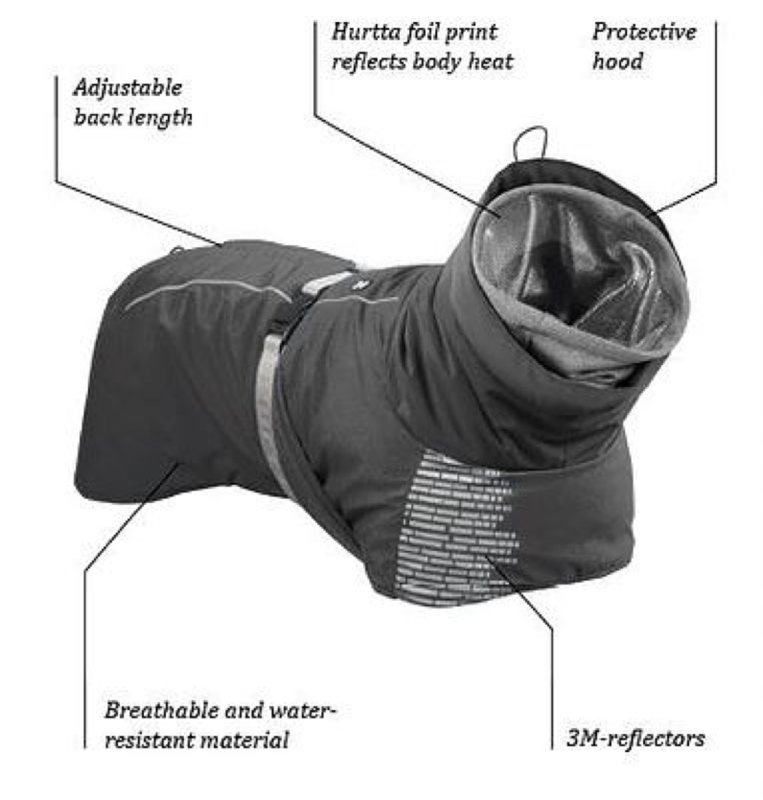 HEAT REFLECTION - The unique foil lining material of the extreme warmer reflects the dog's heat and thus stimulates its blood circulation efficiently unlike a regular winter jacket. 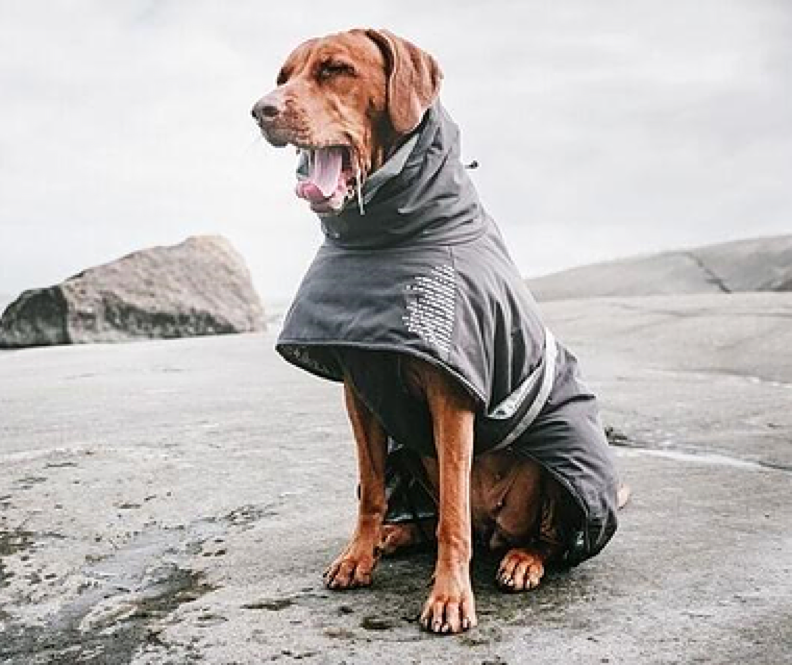 Although thicker than some other dog coats, this winter jacket is built for movement and is ready for whatever fun you and your pup are enjoying. It’s also designed to fit your leash and harnessing needs, built with a ring for fastening a leash and an opening for a harness or collar. Leaving your dog alone for the day can be a difficult time for both dogs and their owners, and here at Modern Dog, we know how easy it is to worry when away from our beloved pups. 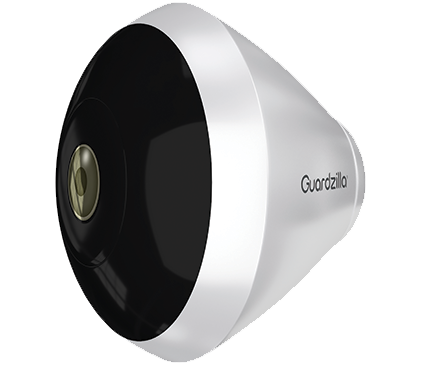 Luckily, Guardzilla’s 360 All-In-One Cameras can help put your mind at ease! 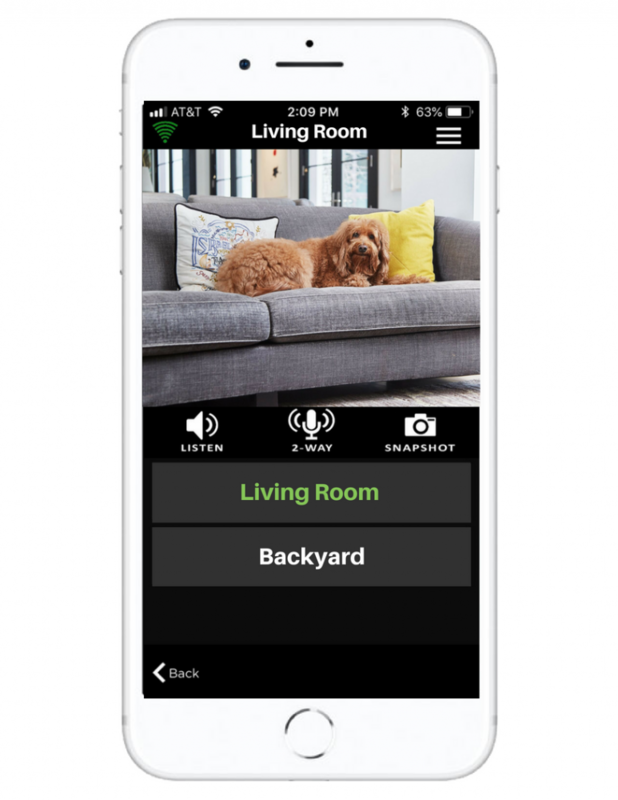 Great for both indoor and outdoor use, this high definition camera allows you to watch your dog live from your smartphone. Swiping on your screen allows you to control which area of the monitored space you’d like to see. Unlike other camera monitors that have a limited scope, this camera has 360 vision to allow you to see even the sneakiest dogs! So that you don’t have to be glued to your screen all day, this camera’s PIR motion sensors can detect movement and instantly send an alert to your phone. With a magnetic hanging mount, infrared sensors for night vision, and your choice of power source from a power cord or rechargeable batteries, you’ll feel relaxed and reassured knowing you can check in at any time. By now, most Movember mustaches are getting pretty lengthy, but we haven’t had our fill quite yet! 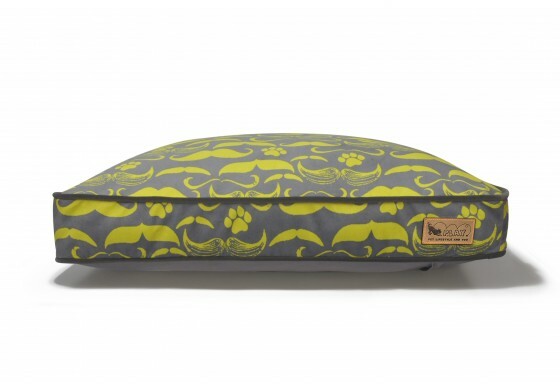 That’s we just can’t get enough of these trendy Mustache dog beds! According to P.L.A.Y., they chose this pattern because mustaches are an international symbol for the “fun, hip and trendy”. 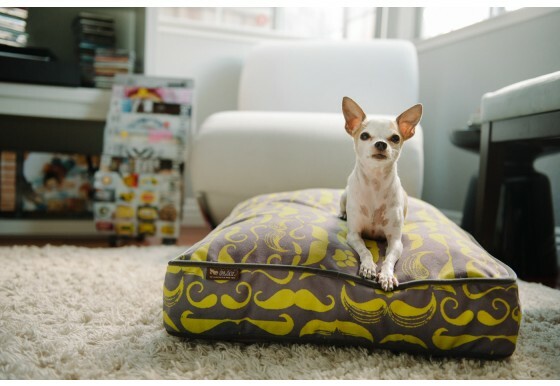 Whether or not your dog sports a mustache of his own, your pup can now enjoy a chevron, dali or handlebar mustache with this dashing Mustache bed from P.L.A.Y.! Hipster dogs like yours will appreciate this bed’s eco-friendly filler, made from 100% post-consumer recycled plastic bottles, and cautious pet parents like yourself can appreciate its lead-free zippers, furniture grade craftsmanship, and machine washable materials. Perfectly fluffy and fashion forward, it’s a great choice for a splash of on-trend pattern! Although we all love having dogs at home, we don’t always love how they make our home smell. 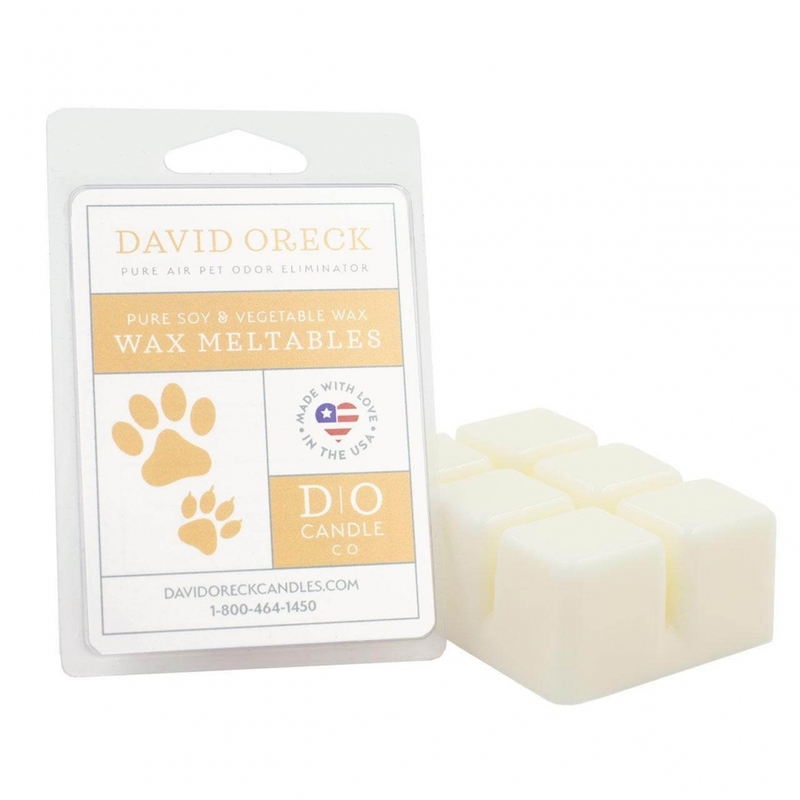 That’s why we at Modern Dog love David Oreck’s Pet Odor Eliminating Candles! These made in the USA candles are built with a wide wick to double its odour eliminating ability, and with three fantastic fragrances to choose from (infused with hints of green tea, eucalyptus, or lemon!) you’ll be sniffing serenely in no time. 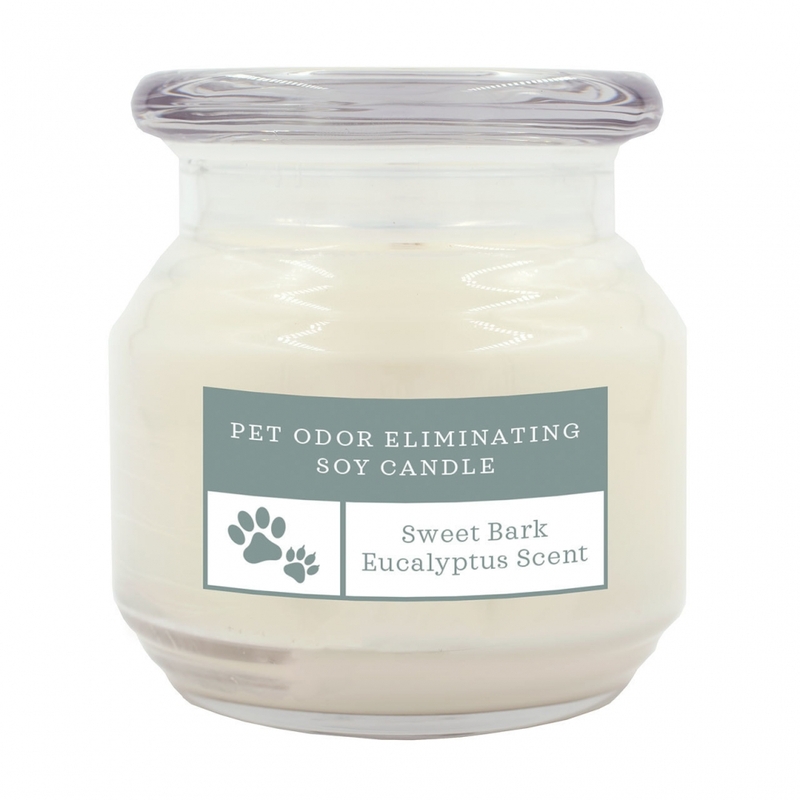 Unlike candles that contain fillers or paraffin wax which can be harmful for pets to breathe, these 100% soy wax candles use an all-natural wick that allow for a clean burn, making it safe to use around all your family members, fur children included.